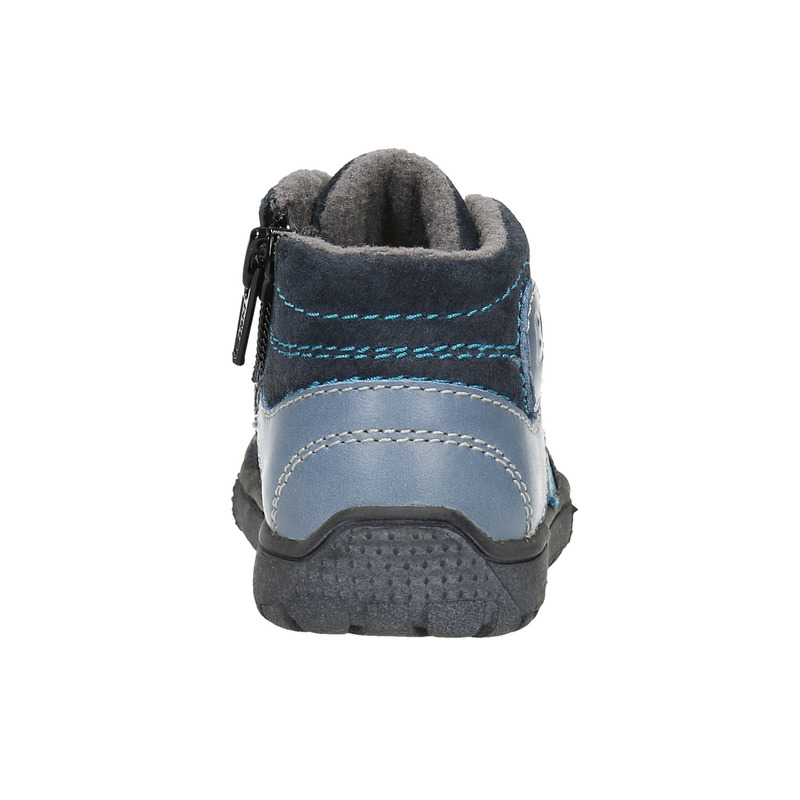 These kids' Bubblegummers leather shoes have an above-the-ankle height thus ensuring the foot stability of the kid. 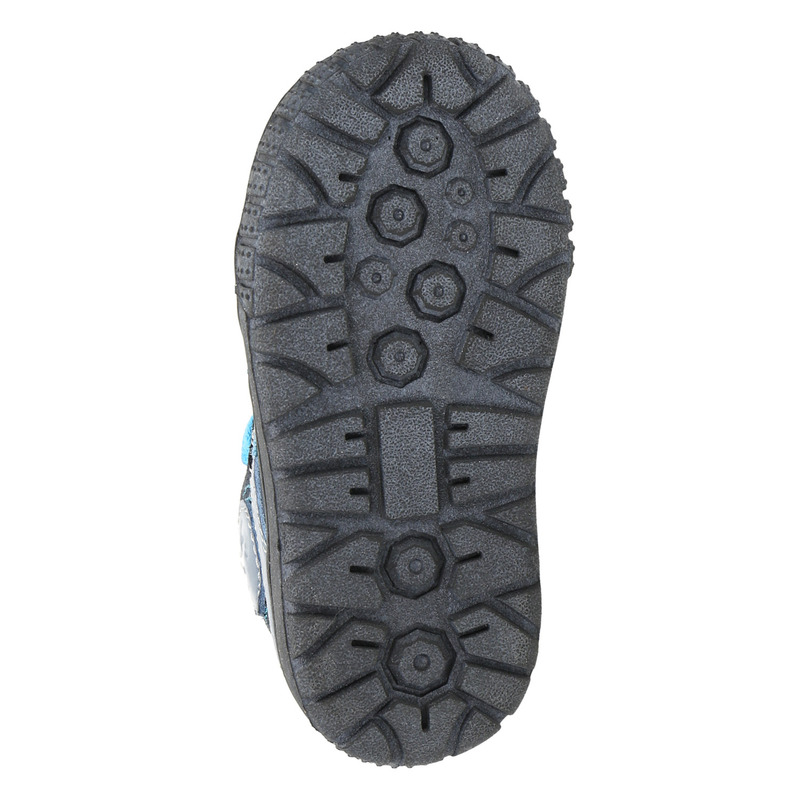 The comfortable sole is complemented by the reinforced rubber toe that protects your toes. 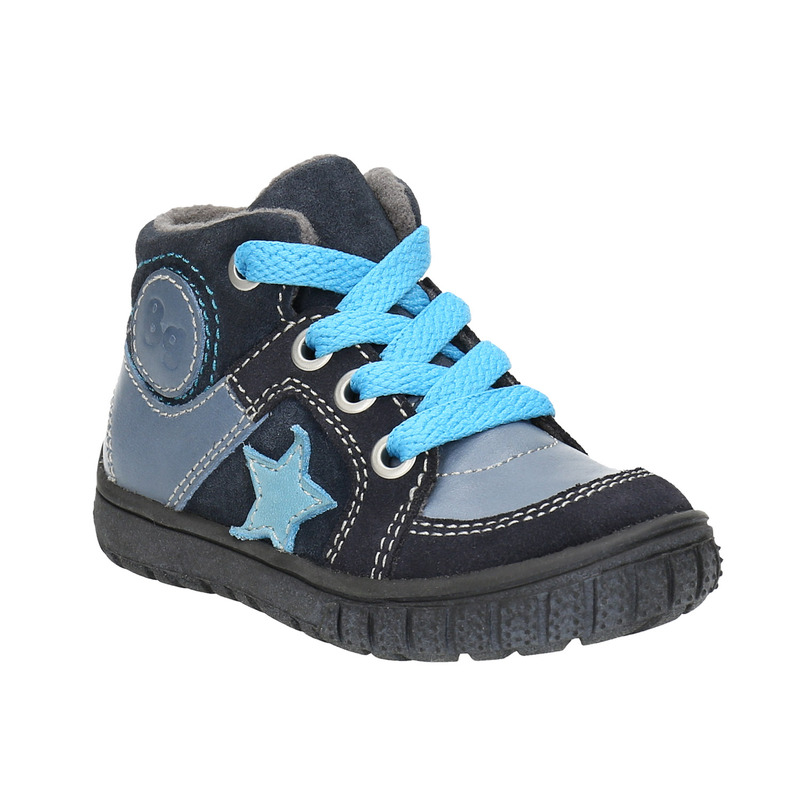 The original lacing matches with the blue star decoration on the side. 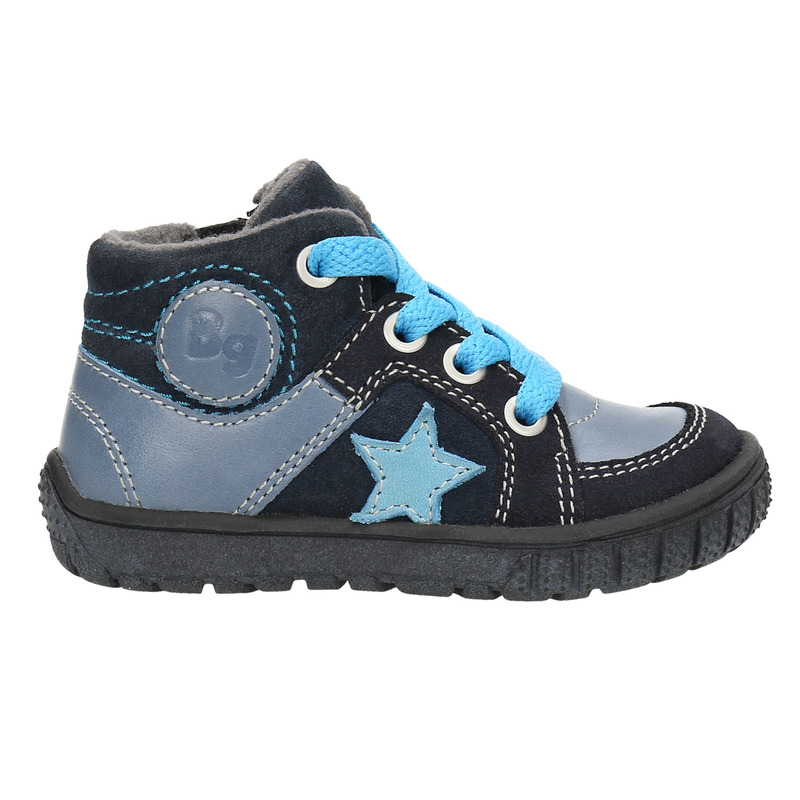 Universal boy’s model for the smallest feet.